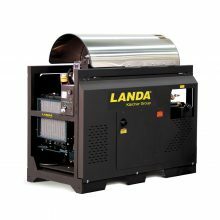 The Landa SLT series delivers up to 8.0 GPM and 3200 PSI of hot water cleaning. A distinctive stainless steel coil top wrap offers protection, and oversize vibration isolators cushion the engine and pump platform. 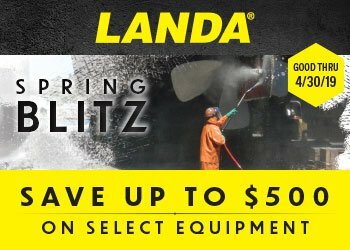 The SLT-8-32624E is the go-to pressure washer for any workers in mining, drilling and fleet industries. Packed with quality throughout, the SLT featurse a top-of-the-line, belt-drive pump with 7-year warranty and low RPM for extended life, as well as a giant Schedule 80 heating coil, made of up to 300 ft. of 3/4-inch steel pipe with 5-year warranty.